Even if it's coming from a super-cute dog? Woof! The past few months have really been the dog days for MoviePass, which has consistently frustrated users by changing its prices and policies to their chagrin. 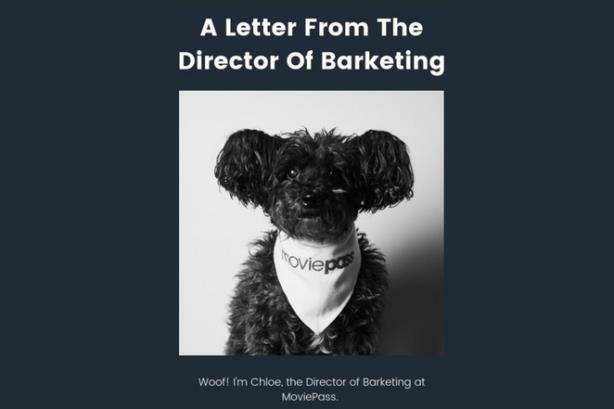 So this week, it tried to really turn on the cuteness with an apology message from its new four-legged "director of barketing," Chloe. Did MoviePass win its way back into your good graces with help from a furry friend? Take our poll below. Did you accept the apology from MoviePass' 'director of barketing'?